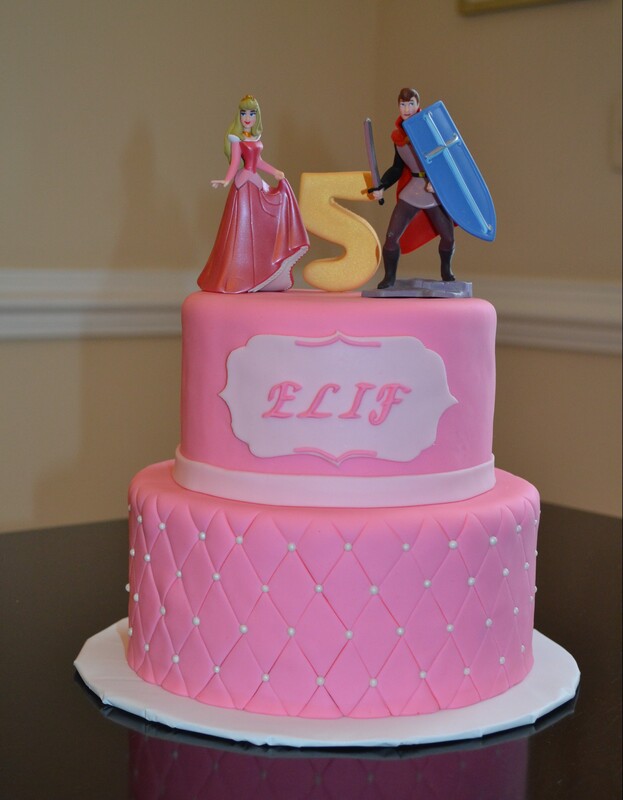 I created a Rapunzel cake for this client and she liked it so much, that she asked me to create a Sleeping Beauty cake for her other daughter’s 5th birthday. I used a quilted look for the bottom tier that I accented with candy pearls. The top layer I kept simple with just a name plate. 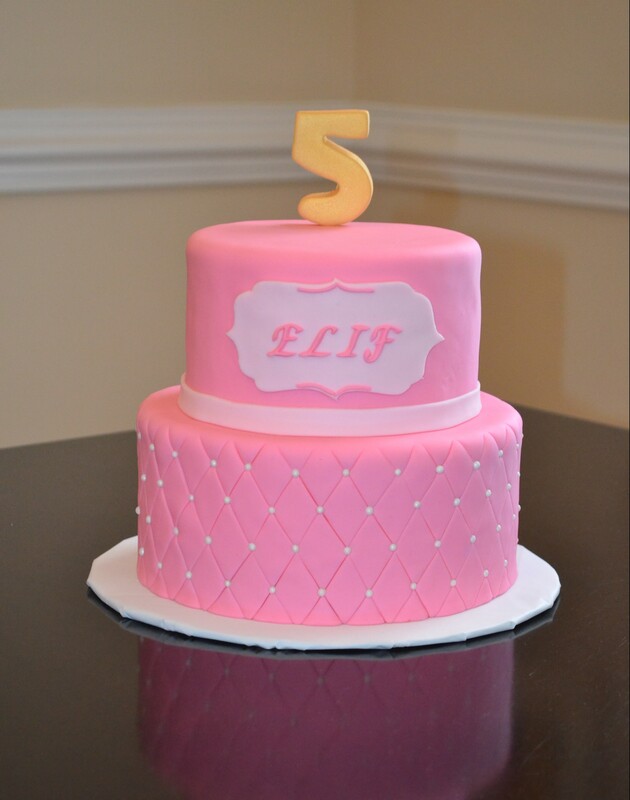 I topped the cake with a gold, fondant “5.” The client also requested Sleeping Beauty characters which I placed on the cake. I do think that the cake can stand alone, without these characters, but the addition of them definitely gives a much more definitive Sleeping Beauty vibe.